Dr. Tim Jameson has been in private chiropractic practice for over 28 years. He enjoys being dad to Jillian and Paul, and is married to wife Laurie for 28 years. 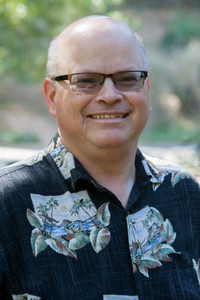 Dr. Jameson is a worship leader and Director of Music at Christ's Community Church in Hayward, CA. He plays a Martin acoustic/electric, leads in vocals, and plays keys and piano. Dr. Jameson received his Masters of Divinity degree in December 2011. He is involved in pastoral ministry. Dr. Timothy Jameson, the owner and creator of Musicianshealth.com is excited to announce the release of his new book Reach for the Top! This book will be an invaluable resource to your growth as a musician, your success in all areas of life, and even your growth personally and spiritually! Dr. Jameson's first book (new release coming out this year!) Repetitive Strain Injuries explains in layman's terms how the body develops RSIs, how to heal from them, and how to prevent them. It covers stretching, nutrition, exercises, and offers case studies of many types of RSIs. It is truly the RSI bible.